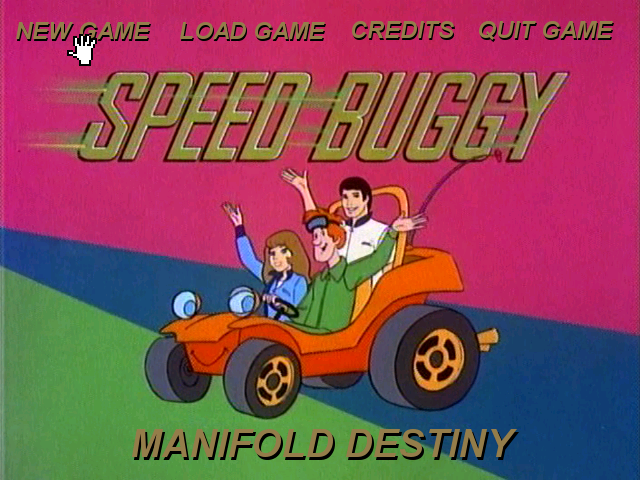 Speed Buggy: Manifold Destiny was made for the September 2014 MAGS Contest, the theme of which was "Cross Country", meaning a depiction of a journey. 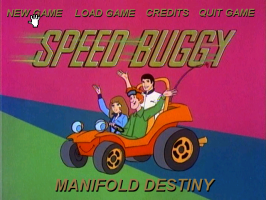 The game is based on an old kids' cartoon show called "Speed Buggy" in which an intrepid racing team, with a talking car, tour the world's racing circuits while getting caught up in all kinds of adventures. This game hopes to recapture some of the charm of this old Saturday-morning gem. A fair game that was quite puzzling and as a MAG it was quite intriguing. Some of the puzzles were hair tearing and the jibes and dialog were good. Would love to see a fully blown game with more in-depth play and animations. Lack of animations and other stuff for this MAG, due to the lack of time, did not deter me from playing. Good idea executed quite well. Would love to see more games in the future from Mandle. It was a real lot of fun playing this game. So much puzzles that keep you entertained. A well done game especially for a MAGS â€“ bravo! I really enjoyed playing this game. I think anyone who likes cartoons and especially anyone who likes speed buggy and/or other cartoons around that time would like this game. There were a few places where I had trouble getting further in the game but I was able to get some hints or figure it out myself. Good decent point&click puzzles, some not that easy either, which is good if you like a challenge. 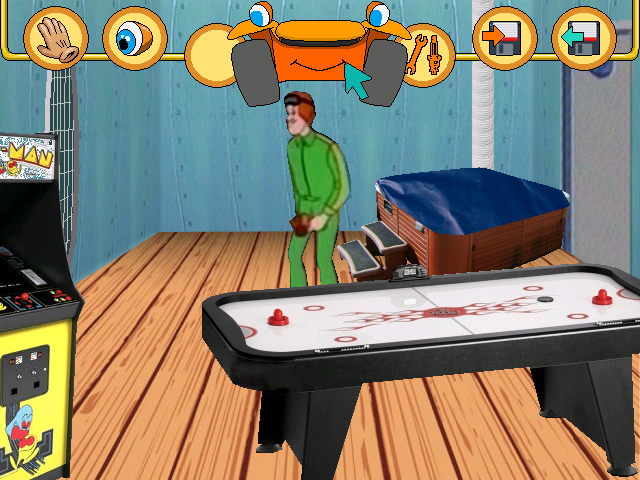 A great MAGS game funny to play with old school challanging puzzles really well designed. PHEW!!! It's been a race to get the game finished and ready for the September 30th deadline. Of course, not everything is as polished and nice as I had planned. I'll probably do some polishing up at some point in the future and release a more complete product.